Here it is — my 2019 photography class line-up! I have one teen class next month and three adult classes over the summer and early fall. 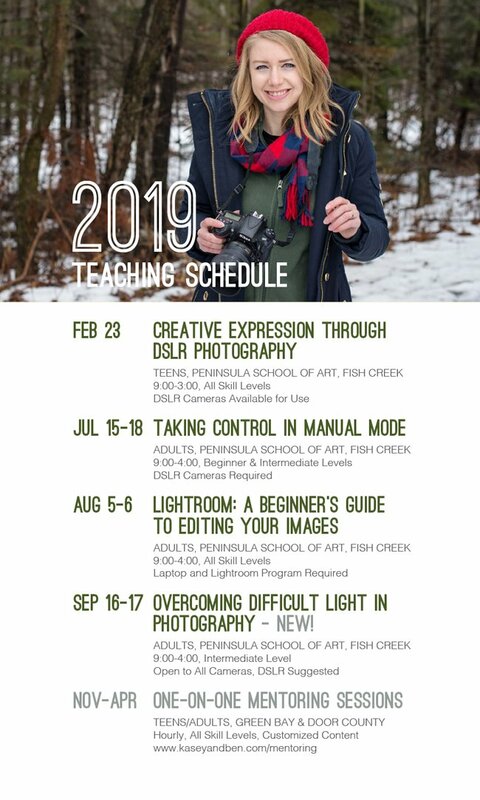 Taking Control in Manual Mode is the most comprehensive class for beginners and involves a lot of hands-on learning, detailed visual guides, and practice time as well as one-on-one and group critiques to help you feel confident behind the camera. Lightroom: A Beginners Guide to Editing Your Images is the most popular class, selling out each year! In this class we will learn about workflow, how to organize your images into catalogs, how to safely store and back-up, as well as how to batch edit your images to save time and make corrections to light, color, cropping, saturation, and more! Every year I announce my teaching schedule here first! If you don’t subscribe to the blog, but would like to be the first to see where I will be teaching, enter your information in the sidebar and you will be the first to know! It’s 2019; let’s take the plunge and learn something new! 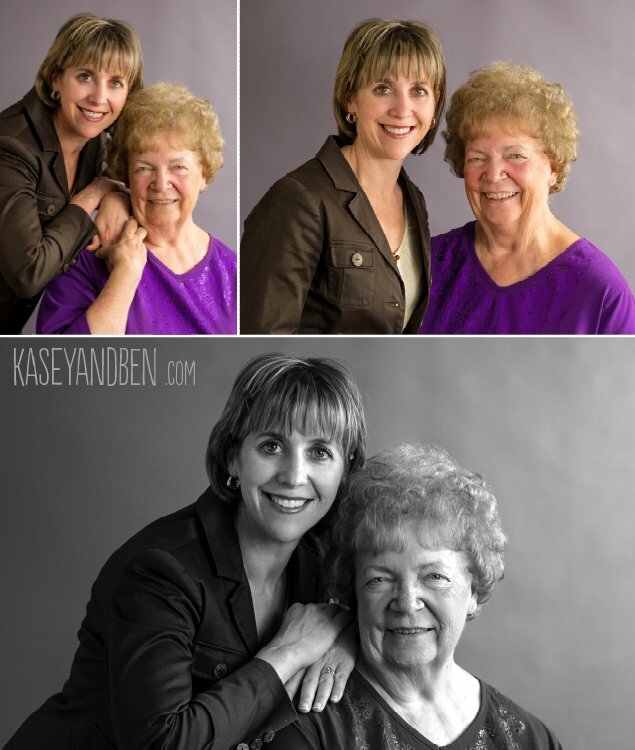 It’s not often that we say yes to photographing family events, but when Hillary called from Chicago planning an event in Appleton before she and her family moved to Denver, I got curious. Hillary and Aaron were making plans to move west with their boys at the end of October, but before they departed they wanted to have one big event to say goodbye to their family. An important part of the celebration was that Aaron’s two grandmothers would be there, keeping cozy on the chilly night by patio heaters and endless cups of coffee delivered by loved ones. They knew it would be a special event that the family would want to look back on. Ben and I divided up to photograph groupings of each of the individual families, and also to capture candid moments throughout the evening. It was an event full of joy, laughter, and people holding each other close. Matt and Chelsea knew each other a long time before they got together. They traveled in the same groups of friends, worked side-by-side, and saw the absolute best and worst days. Their relationship was built before one tried to impress the other, before silly “dating games” took hold, and because of that, it came from a place of understanding and honesty. 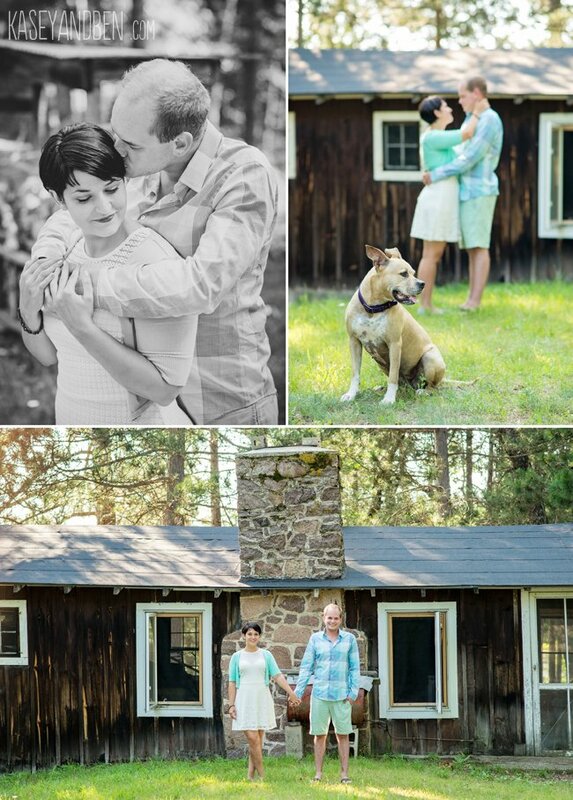 Last year Matt surprised Chelsea with a photography session at her family’s cabin as a gift, but as the session came around this summer, it became more than just a “couples session”. The turn-of-the-century cabin is in the Crivitz area and sits on beautiful Wonder Lake, far into the woods. As the session ended on a hot July afternoon and the canoe was being pulled ashore, Matt got down on one knee right there in the lake and asked Chelsea to marry him. She said yes, and we couldn’t have been happier to be there to capture such an important milestone at a place they love best. Congratulations, Chelsea and Matt! One of the best parts about what we do is that we get to be involved in so many milestone celebrations: birthdays, weddings, engagements, graduations, and in this case, a baptism. Little Alexander was so happy throughout his baptismal ceremony. He was very alert, interested in the ceilings of the cathedral, the lighting of his candle, and the gestures and expressions of the priest. When people smiled at him, he smiled back full of giggles and excitement, absolutely loving all these family members who had traveled from near and far to be a part of this important event. We were glad to be a part of it as well, documenting something so special. Congratulations, Alexander! We all need someone by our side to guide us, inspire us, and challenge us to be our best. We may not use the word mentor, but that is what it means. Missy called me a month or two ago; she was boarding a plane for a family vacation and had been struck with an idea. She had recently heard that her mentor, Lorraine was planning to retire and move to New Orleans to be with her daughter. It was in this life-changing moment, that she realized (as we often do) how few photos she had of the two of them together. She wanted something substantial to hold on to – a symbol of their relationship. Lorraine was one of Missy’s instructors in the masters program at UWO. She began every class reading from a novel marked with paperclip bookmarks. Her approach was slow and concentrated, and it tested Missy’s patience. The way Lorraine taught was a lesson in itself, something beyond the subject matter. Lorraine discussed reinventing herself, and creating the life she led with a purpose and Missy was inspired. She describes Lorraine as “a woman grounded in her faith, her marriage, her family.” When Missy came to turning points and moments of great decision, she turned to Lorraine. Through Lorraine Missy could see her ideas as concrete goals with steps that made her feel capable and sure of her decisions. Future life events brought them even closer together. It’s funny how easy it can be to forget the value of a photograph. All day long we are Instagramming our food and Snapchatting our pedicures (guilty on both counts) and that can make us blind to how much an image can really matter. Earlier this week I stopped in at my grandparents’ house, and casual conversation led to an evening looking through photographs from the mid 1800s forward – portraits of our family. In one image I saw my great-great-great-grandma surrounded by her children, baby on her knee, and all I could think was wow. Someone so long ago made the decision to gather the family together and have this beautiful image made so that I could hold it in my hands 150 years later. This was done for me. Kind of a powerful thing. It was my pleasure to be a part of creating an image that would tell the story of Lorraine and Missy, an image that signifies the life-changing events that brought them together, strengthened their bond, and leads them on to what comes next. In case you’re on the fence about how to choose your bridal party, or unsure where “really amazing best friends” turn into “kind of good friends” turn into “I probably should”, here’s a few reasons to keep it small. If you’re a person who loves the chaos of it all, you might enjoy the buzz of a 12 person wedding party around you at all times. But for those who like simplicity, a smaller wedding party means less stress and less obligations. The fewer bridesmaids and groomsmen you have, the fewer schedules you have to coordinate for wedding events and the less people you have to keep track of on your wedding day. When it comes to picture time and bridesmaid 1 is refreshing her drink, bridesmaid 2 has wandered off in search of a bathroom, bridesmaid 3 is checking on her children, bridesmaid 4 thinks she left her purse in the dressing room… well you get the idea. Smaller wedding parties will save you time, money, stress, and valuable bits of your sanity when “I-do” rolls around. I cannot stress this enough: your wedding is about you and your future husband deciding to make a commitment. It is not about a friend you were close with in high school who you rarely see nowadays and it is not about a cousin who asked you to stand up in her wedding three years ago. Each choice you make as you plan your wedding is a reflection of who you are as a couple. Wedding parties no longer need to follow the old Southern tradition of having your future sisters-in-law stand up (frankly, if you weren’t friends before the engagement, they can rest easy in the second row). The same goes for having kiddos stand up in the wedding. It is incredibly valuable to have your own children involved in your wedding, or little ones you are very close to, but all to often couples are tracing out their family tree to find children simply because they think they should. Each time you decide on someone for your wedding party, ask yourself if it is really what you want. The people who care most for you will honor your choices and be glad for you, and anyone who would cause drama over your decisions, well… be glad they aren’t in the wedding party. The absolute best thing about small wedding parties, is that the people you choose are going to be the friends-forever-and-no-matter-what type. And that means when your wedding day arrives and you are stressed and nervous, they will be there to calm you down and fix problems before they even happen (instead of that ex-roomate who is just admiring herself in the mirror, and worrying about how she looks in her dress). Extra people doesn’t always mean extra help; the right people means extra help. These special bridesmaids who made the cut will be the ones crying through the ceremony right alongside you and pulling bobbypins from their own hair to make sure that yours look perfect. That’s who you want standing up with you. Worried about offending those who don’t stand up? There are still many ways to honor people you care for who might not be the right fit for your bridal party. You could ask them to be ushers or personal attendants, or to perform a reading during the ceremony. Are they family you aren’t sure you want in the party? Consider giving them a corsage or boutonniere to honor your relationship. Many times they will be glad to skip the expense and enjoy the view from the crowd. Choosing your wedding party is a decision you and your fiancé will need to make together, and going with a small party may not be the best fit for your personalities or wedding theme. No matter what you plan or what route you go, think about what you want as a couple, and toss those “miss manners obligations” on the pile with lace parasols and permed hair. Do your wedding your way and enjoy every minute!